Former England captain and UNICEF UK Ambassador David Beckham said that Britain should not be facing problems of the world alone as he extended support to the 'Remain' Camp. David Beckham’s intervention two days ahead of the referendum is likely to help swing many of those still undecided voters. File Photo/Agencies. England football legend David Beckham today threw his weight behind Prime Minister David Cameron’s push to keep Britain in the European Union, as the last set of opinion polls ahead of Thursday’s crucial referendum showed the Remain camp regaining a slim lead over Brexit supporters. “We live in a vibrant and connected world where together as a people we are strong. For our children and their children we should be facing the problems of the world together and not alone,” said the 41-year-old former England captain in favour of Britain remaining within the 28-member economic bloc, the country’s largest market. Beckham said his experience of playing internationally had also given him an appreciation of European cultures. His intervention two days ahead of the June 23 referendum is likely to help swing many of those still undecided voters. Two separate surveys have put Remain ahead of the Brexit camp. An ORB poll for ‘The Daily Telegraph’ found that the Remain campaign attracted 53 per cent of definite voters while Leave had 46 per cent. The poll showed an eight-point net reversal from last week, when Leave had a one-point lead among definite voters with 49 per cent of the vote compared to 48 per cent for Remain. Research by leading pollster John Curtice for the UK’s National Centre for Social Research made an analysis of voting intentions and concluded that 53 per cent intend to vote remain, while 47 per cent were on the leave side. According to ‘The Financial Times’, Curtice used new methodology recommended by an inquiry into why opinion polls had got their predictions of a hung Parliament so wrong in the 2015 general election. “It is so close that any lead should be treated with caution,” warned Curtis. Ideed, a third survey by YouGov for ‘The Times’ gives Leave a 51 per cent lead compared to 49 per cent on the Remain side. However, the pound soared today on the back of a generally positive boost for the Remain camp. Pound Sterling recorded its biggest one-day gain in seven years as receding fears of Brexit added 50 billion pounds to the value of Britain’s biggest companies. Cameron is all set to use the campaign’s final 48 hours to hammer home warnings that Brexit would lead to higher supermarket bills and commuter fares. 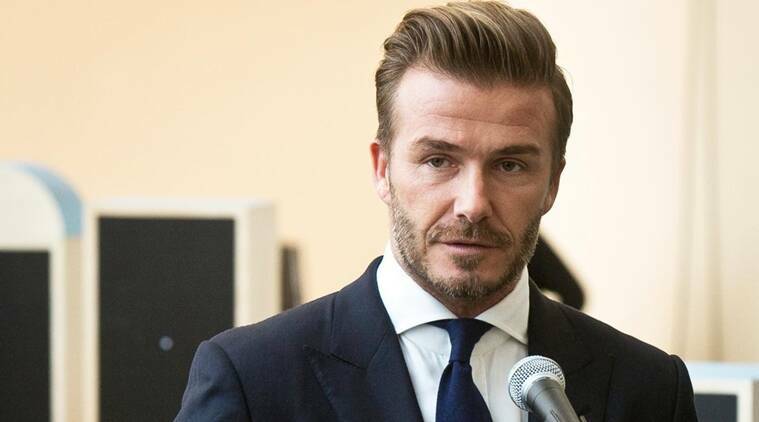 He welcomed Beckham’s support: “There was a very moving statement today from David Beckham talking about his children and saying how effectively, what he said to me was, ‘You can’t win in Europe, unless you’re on the pitch’. A host of major British retail giants, including Tesco, Sainsbury’s and Marks & Spencer, also added their weight behind the ‘Britain Stronger In Europe’ campaign, warning price rises and higher inflation if UK was to leave the union. Leading economic institutions in Britain – the Institute for Fiscal Studies, NIESR, and the London School of Economics’ Centre for Economic Performance – have warned quitting the EU’s single market would make the UK “financially worse off”. As many as 10 Nobel prize-winning economists spoke out yesterday saying “the economic arguments are clearly in favour of remaining in the EU,” while over 5,000 scientists signed a statement saying leaving the EU would “stifle our science, innovation and jobs”. The momentum seems to be once again shifting behind the Remain camp as the opposing camp comes across as increasingly divisive. One of Vote Leave’s star campaigners, former London mayor Boris Johnson, accused Downing Street of pressuring business experts. “I can’t tell you the pressure Project Fear and Remain put on senior business people not to articulate their views. Everyone has an interest one way or another keeping friendly with government. I do not wish in any way to be disparaging or critical of my friends in government but it is well known there is an operation in Downing Street,” he said. Vote Leave also confirmed that it had accepted the resignation of Arabella Arkwright, a businessperson who was a Vote Leave board member, after being made aware of tweets that it said did not reflect the campaign’s views. She was forced to resign after a series of retweets of anti-Muslim material on social media. The fallout of the far-right UK Independence Party (UKIP) poster depicting hoards of migrants queueing up to enter the UK also continues to resonate, with Vote Leave trying to distance itself from the increasingly anti-immigrant rhetoric of its campaign. 3 Could British exit from EU be watershed for global economy?